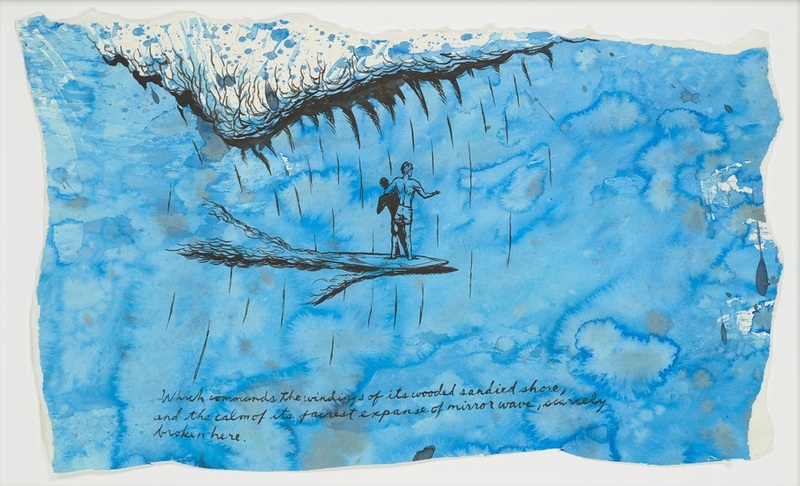 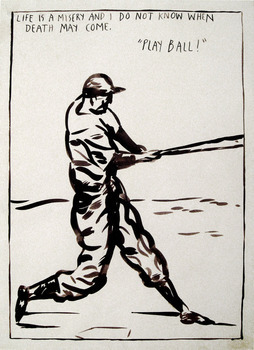 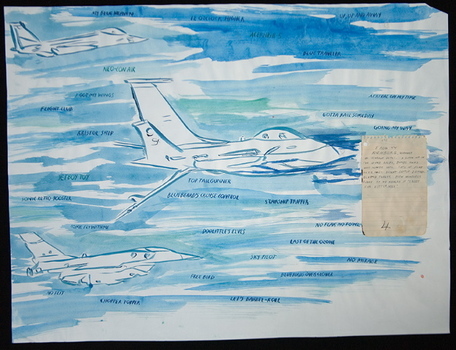 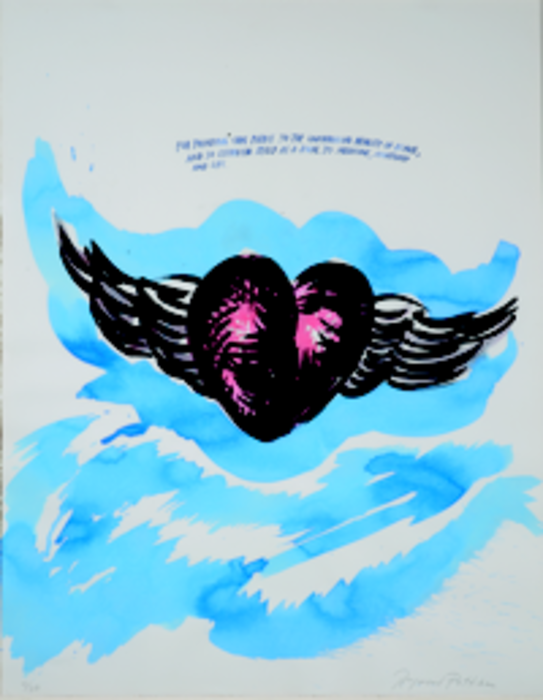 No Title (My Blue Heaven), 2006 Pen, Ink And Collage On Paper 18" 3/4 X 25"
Raymond Pettibon (born Raymond Ginn) is an American artist and sometime musician and lyricist. 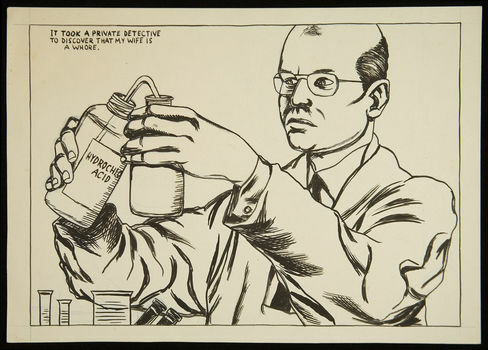 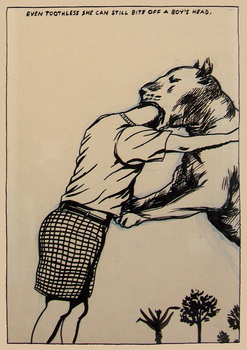 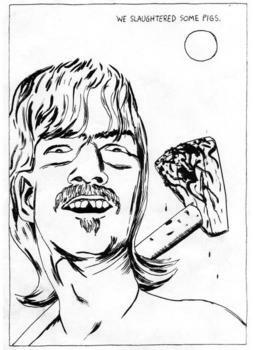 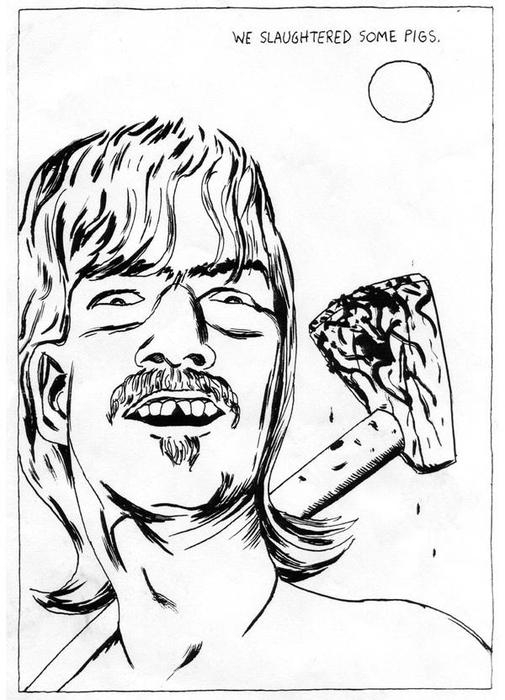 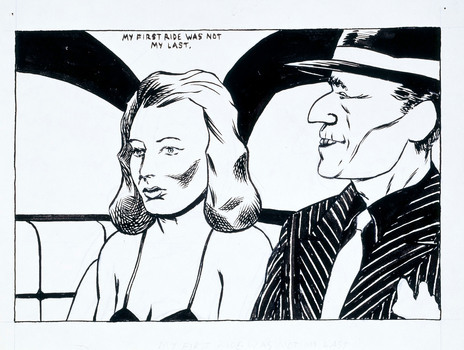 Known for his comic-like drawings with disturbing, ironic or ambiguous captions, Pettibon's subject matter is sometimes violent and anti-authoritarian. 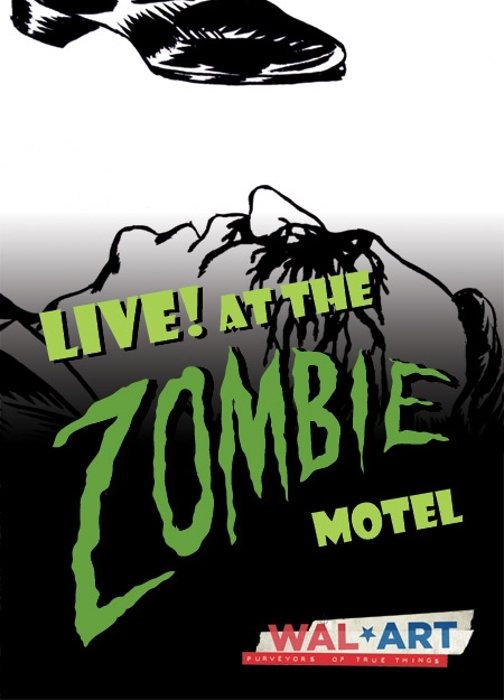 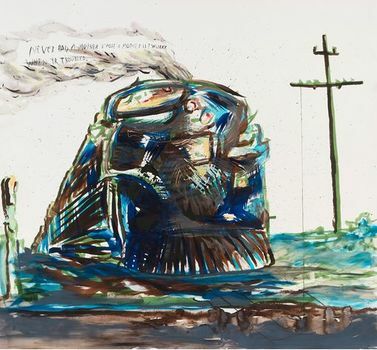 He works primarily in ink on paper and many of his drawings are monochromatic, although he sometimes introduces color through the use of crayon, pencil, or watercolor. 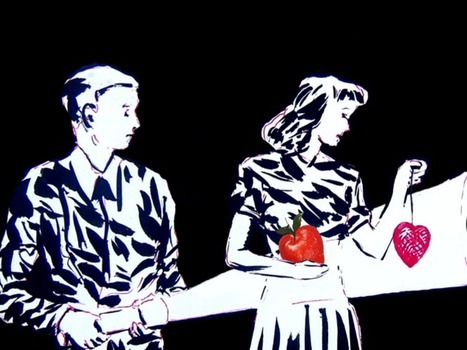 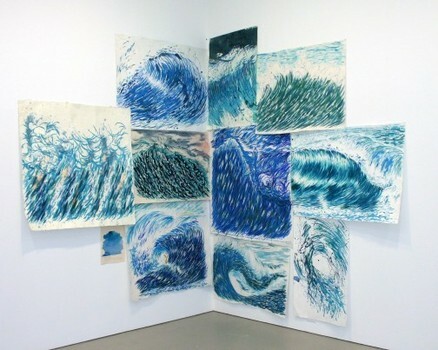 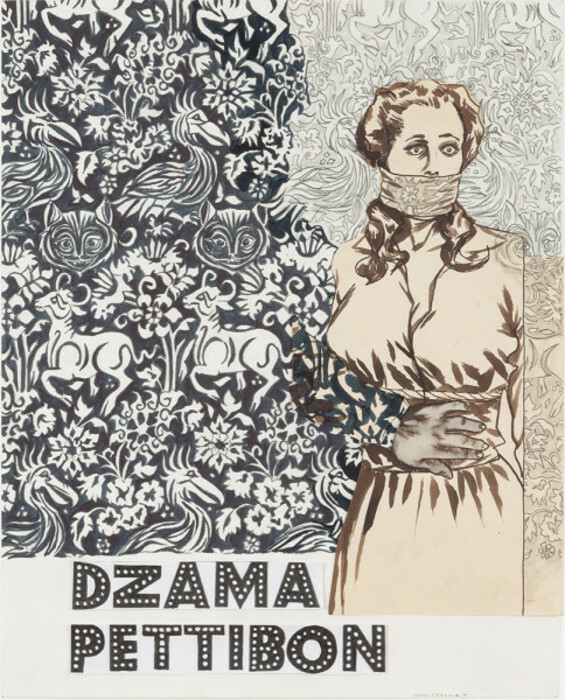 In addition to his paper works, Pettibon has experimented with video art and has recently produced large art installations by arranging his paper works within a room in the context of larger drawings made on the walls of the gallery. 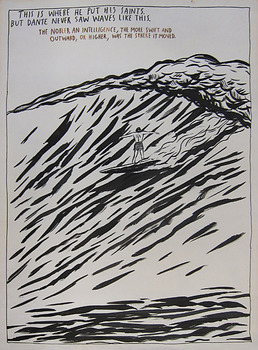 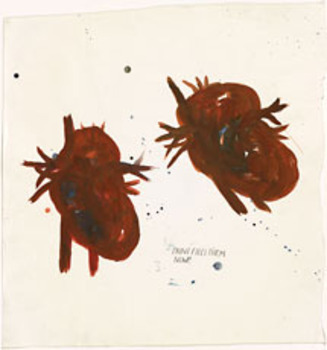 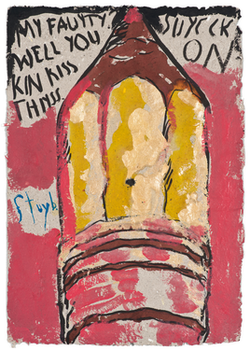 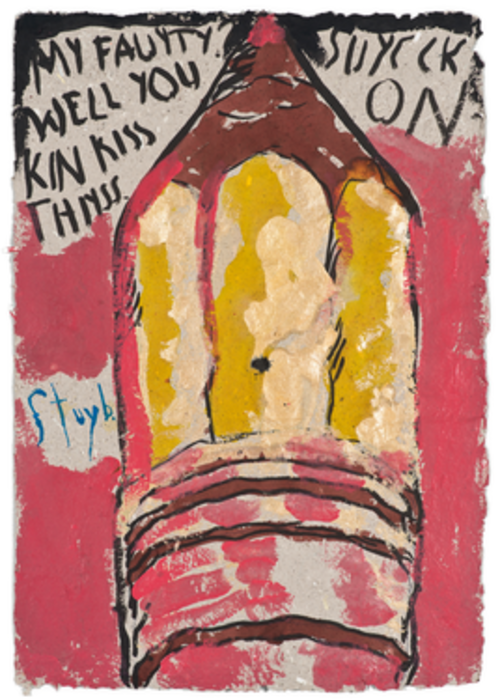 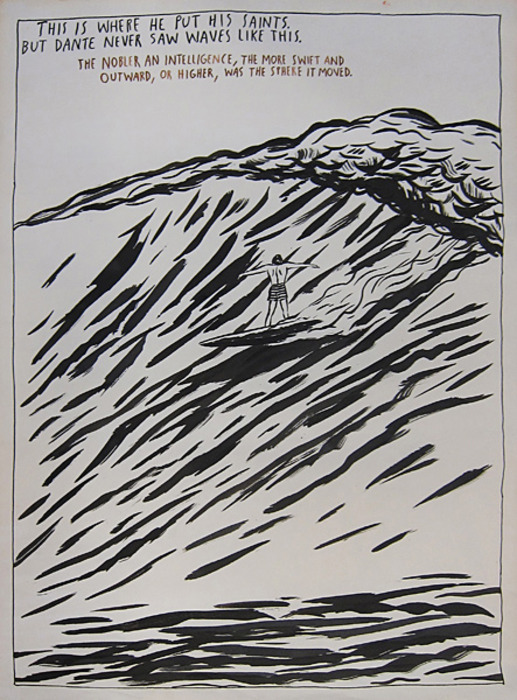 Pettibon has been acclaimed in the international art scene, gaining notoriety after his participation in the controversial 1992 Helter Skelter exhibition at the Museum of Contemporary Art, Los Angeles, and having his first major solo exhibition in 1995. 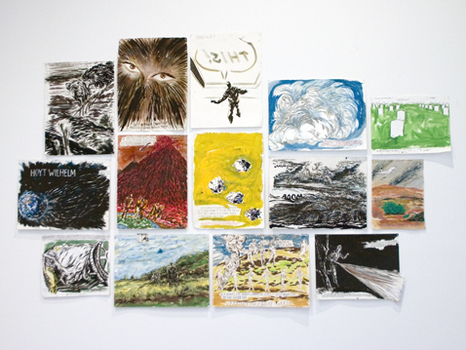 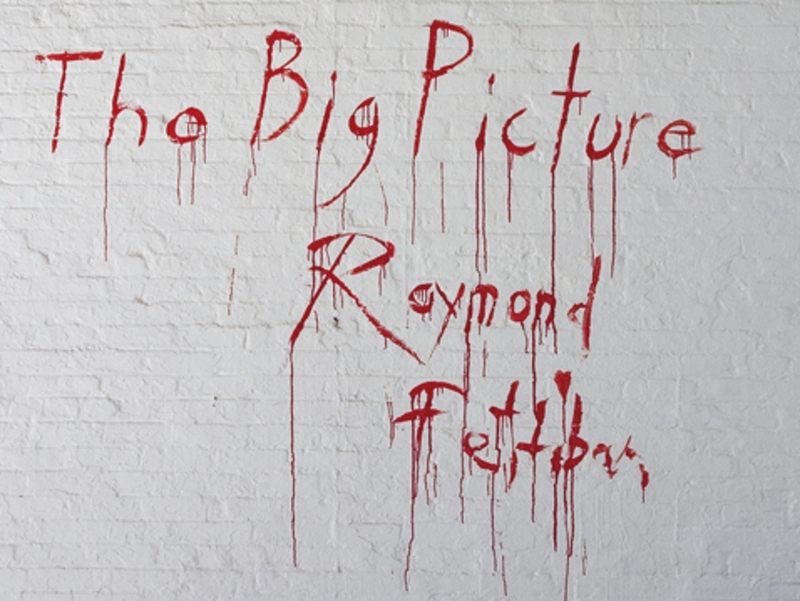 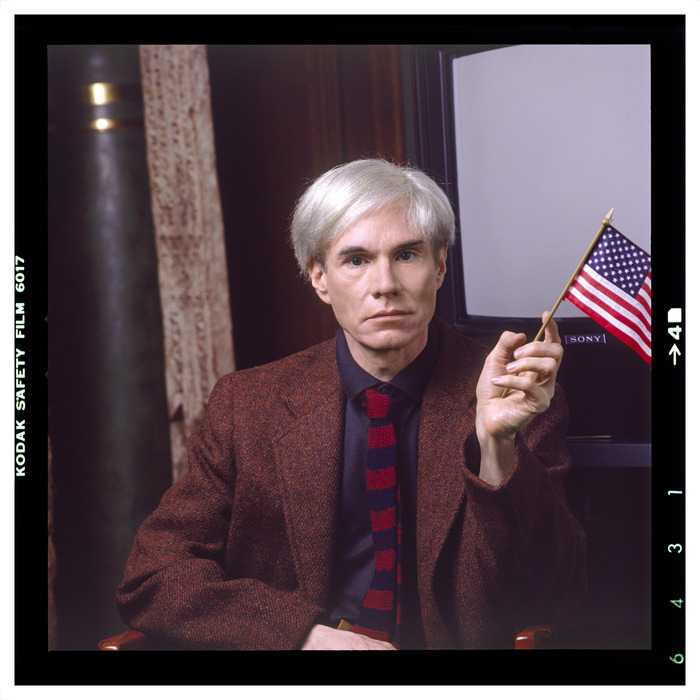 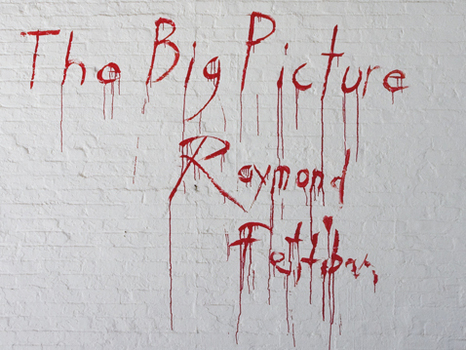 In 2004 he was the recipient of a Bucksbaum Award, an award given every two years to an artist who has exhibited at the Whitney Biennial. 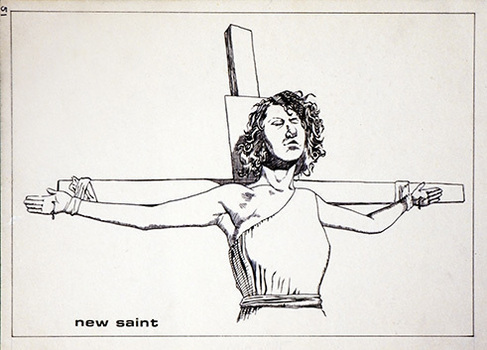 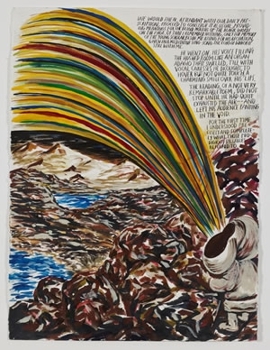 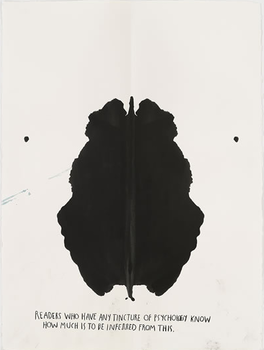 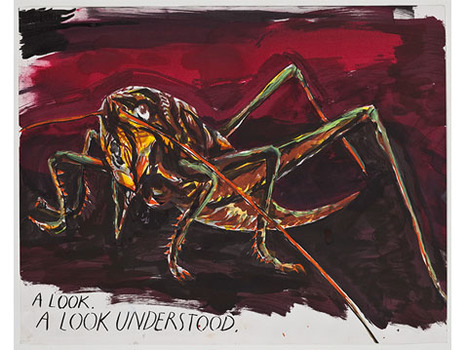 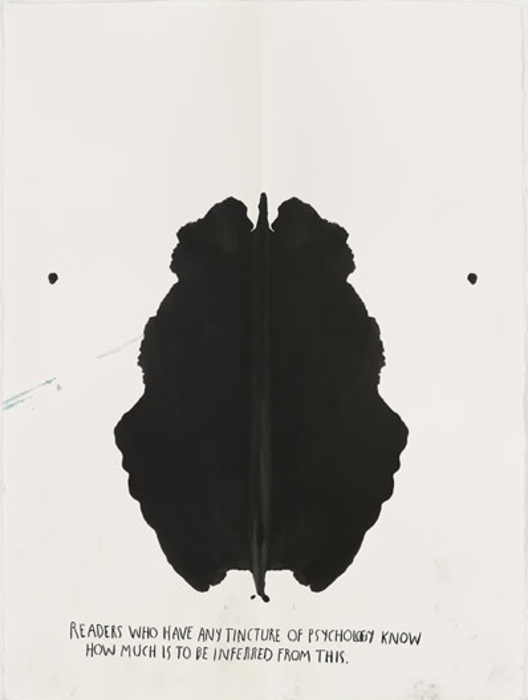 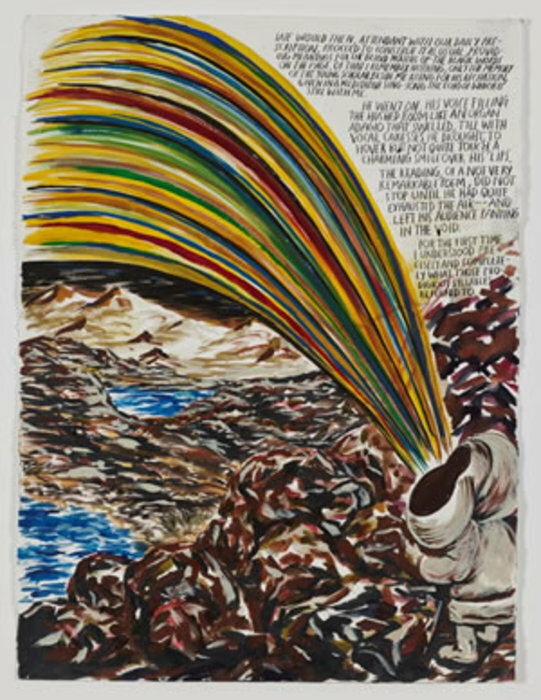 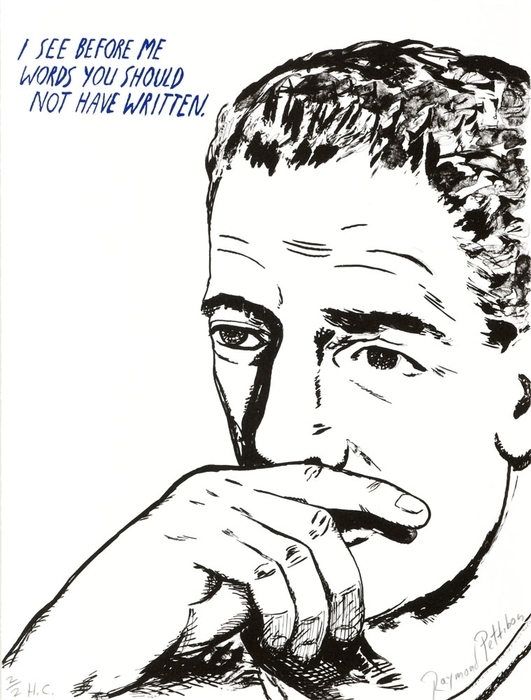 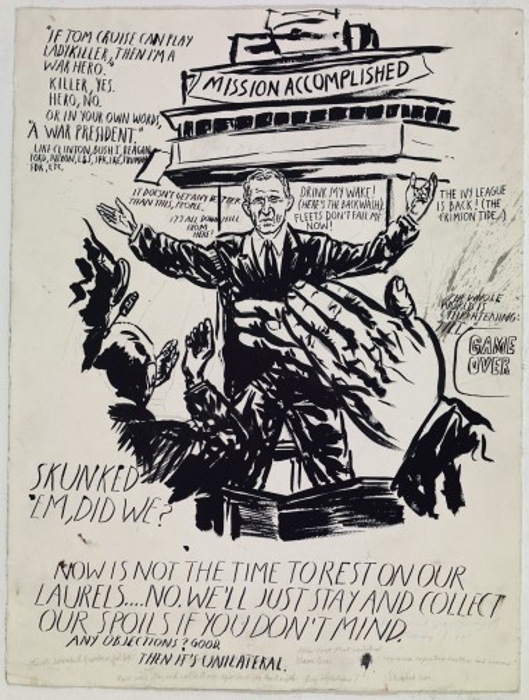 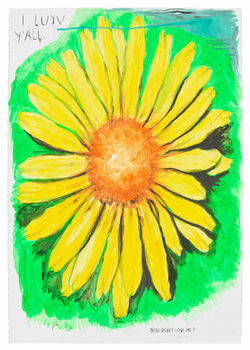 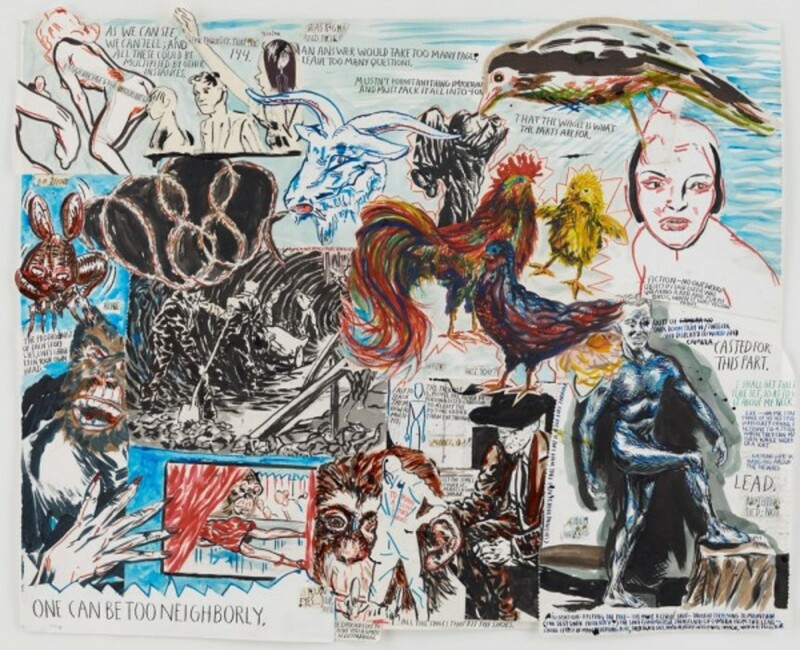 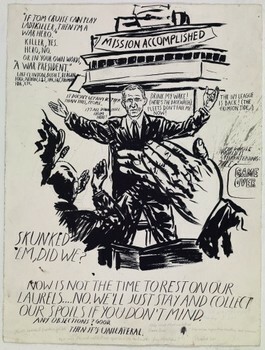 The award has increased interest in Pettibon's work; a few weeks after receiving the award, one of his ink-on-paper works commanded a record $66,000 at auction.